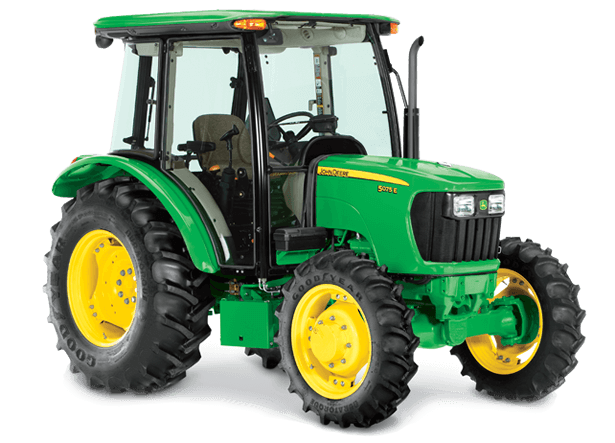 5055E Cab - New 5 SERIES UTILITY TRACTORS - Tom's Lawn & Garden Equipmeint Inc. The 5055E cab configuration features everything you love about the 5E Series tractors, now with powerful climate control and PowrReverser transmission options. Work in comfort year round in get more done with MFWD, high-capacity hydraulics, and 540 PTO with “Economy Mode” for decreased fuel consumption, noise and vibration.